A little Jersey shore surprises on a Sunday Funday at the Rockaways! Gettin the tan on. The Atlantic is so pristine and dispels all urban myths as to being able to swim! Lap it up. Beach food ain't so bad! 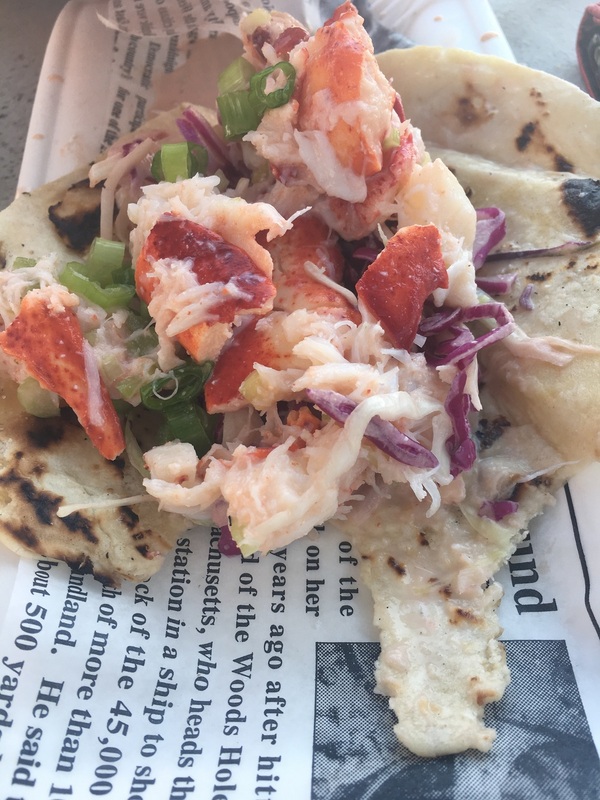 The lobster shack resides in the food area central to the beach.! There is BBQ, Salads, Pizza, Booze, Ribs, Burgers, a DJ and much more! 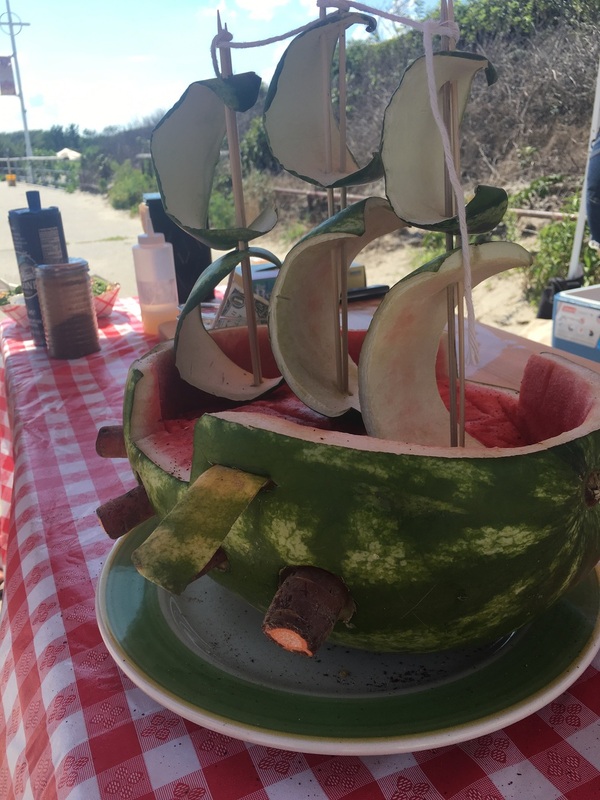 And well... A little watermelon booze cruise! This fresh fruit stall sells over 1000 slices each afternoon! 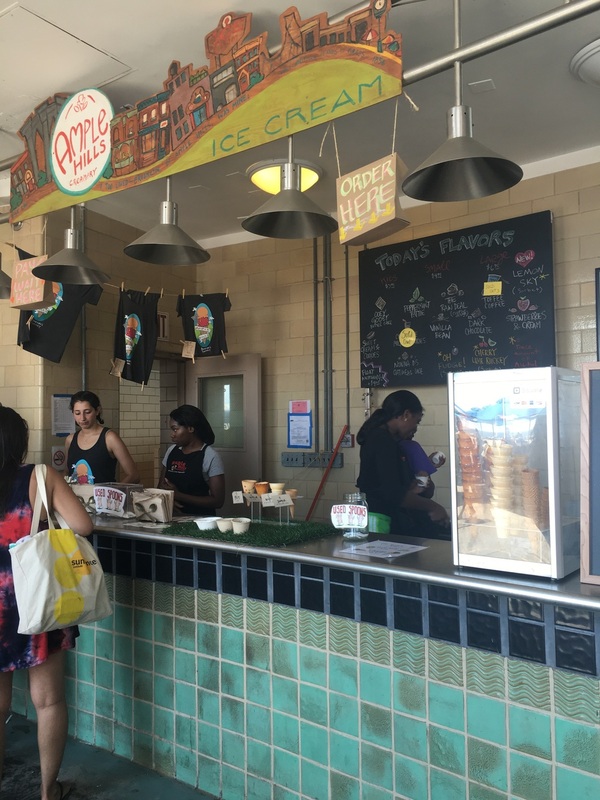 The fresh ice cream of Ample Hills in the once was Victorian bath houses on the beach. Local producers only. I grew up on a farm. Corn fed the cows and me. Nothing reminds me more of summer then a corn roast. A look back at the bath house, now beach tables, food , beer , tunes and tans! Art Deco all around. There are also old war tunnels used to protect the coast. Walk and you will find them.